and most decisively for her teachers, the children, and for education on the whole. Lina spent most of her childhood and college years in Australia. On completing her Bed in Melbourne she came to India and joined a prestigious school in Mumbai becoming a teacher to a class of 55 children. It didn’t take her long to realise that learning at the school was based on rote and memory, which was not only stressful for the child but also curbed the little ones’ creative growth and intrinsic abilities. She knew then she had to start her own pre-school which could change the face of education in India. Her father was her first financial and responsive supporter who aided this dream. Lina started the first Kangaroo Kids preschool in 1993 in Mumbai. 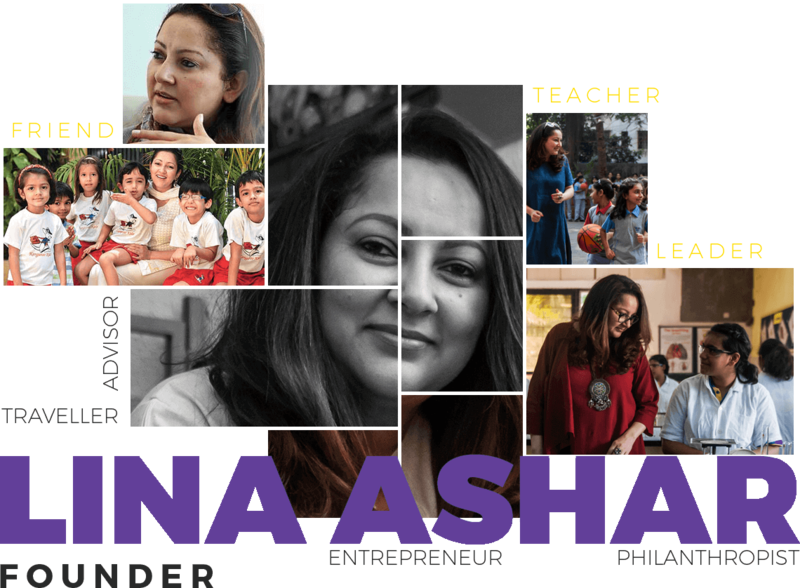 Driven by its success, in 2004 she started Billabong High International School. In the 12 years since, the organisation has set up Billabong branches and Kangaroo Kids franchises across India and internationally, with schools in Maldives, Dubai, Qatar and Saudi Arabia. Lina has not looked back since, and the success of BHIS is testament to her vision and determination to raise the bar for quality education.